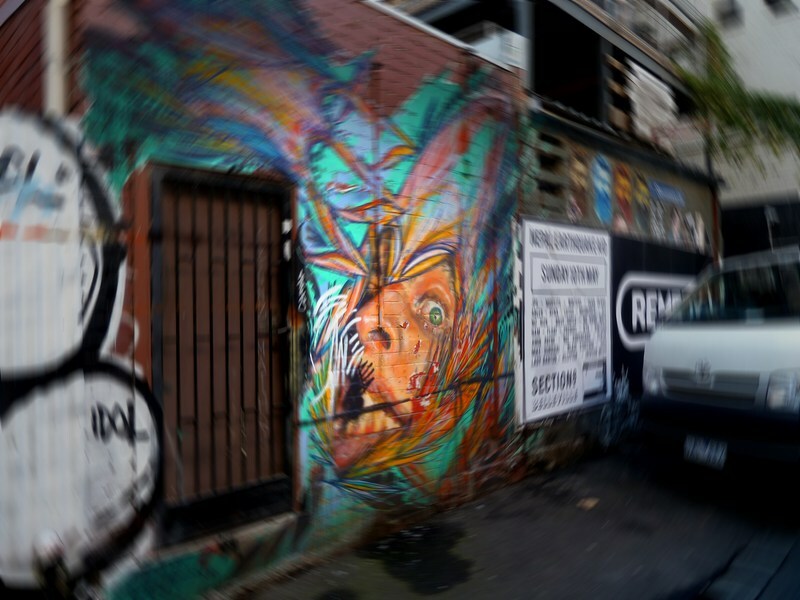 Only a short walk away, the fourth stop in the Melbourne Street Art Pub Crawl is Section 8. Created largely from recycled materials, such as shipping containers, Section 8 presents a thriving bar in the guise of a slum. 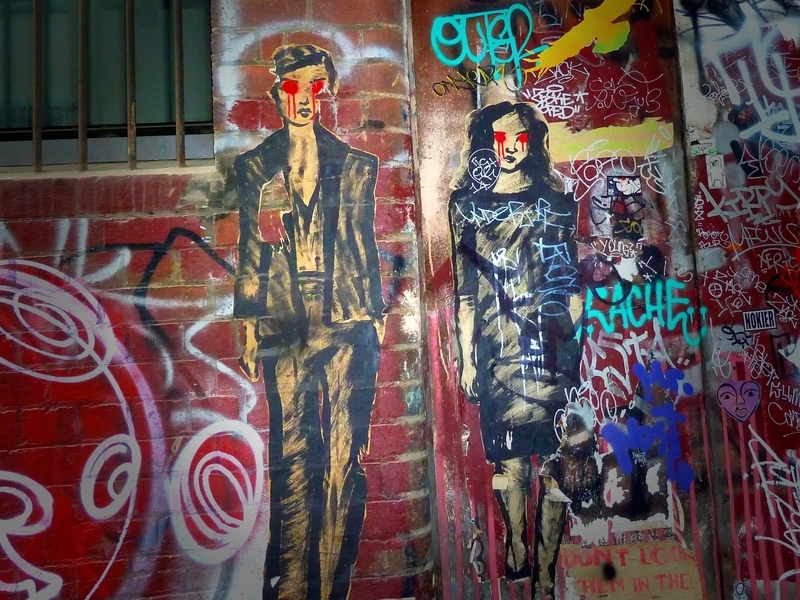 On all sides, street art leaks into, and out of, Section 8. 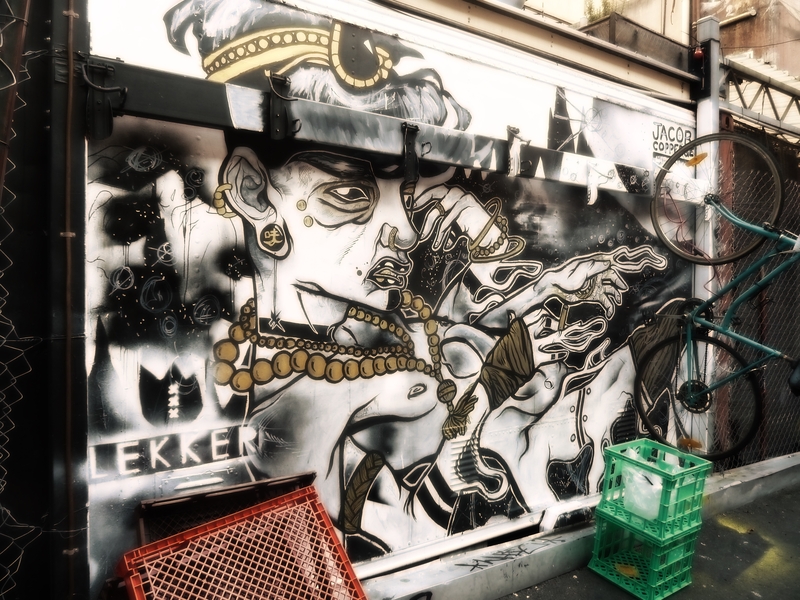 Murals, tags, paste-ups and stencils cloak the edifices surrounding it, transitioning seamlessly into the bar itself. 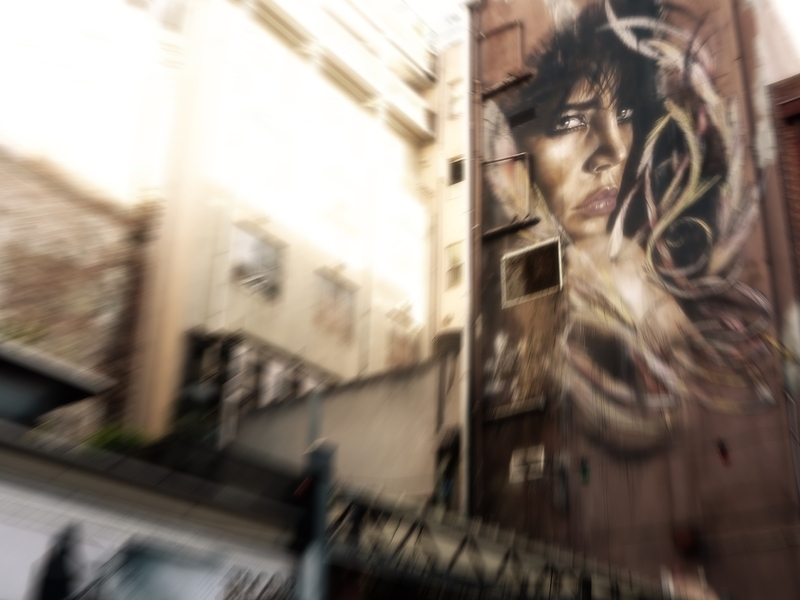 High upon one wall, a massive mural of a beautiful woman gazes over the bar, created by Adnate and Shida, while at ground level, Jason Coppedge’s work presents a twisted and provocative figure. Section 8 epitomises the intersection of underground and mainstream culture in the forms of street art and drinking, respectively. 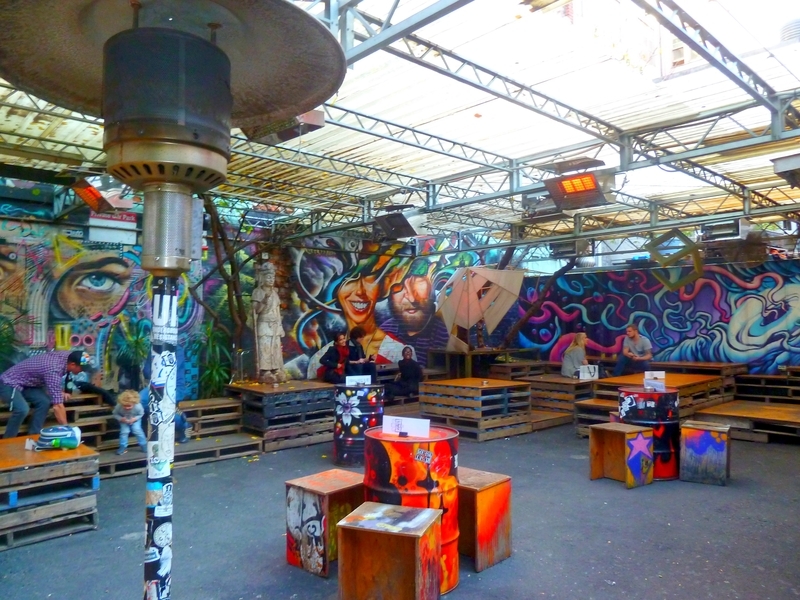 The art flows directly from the bar into the streets, and from the streets into the bar, the two becoming one gritty, colourful and vibrant entity. It is this atmosphere, this clash of cultures, that ensures Section 8 is always packed to the brim. Take your time here, have a few drinks, and enjoy the atmosphere. It’s electric. “Section 8,” Street Art deTours, accessed April 24, 2019, http://streetartdetours.com/document/913.